Whatever be the type of compliance and payroll you possess, Open HRMS provides the complete automated payroll processing. Assure real-time processing without any hurdles in any type of compliance. 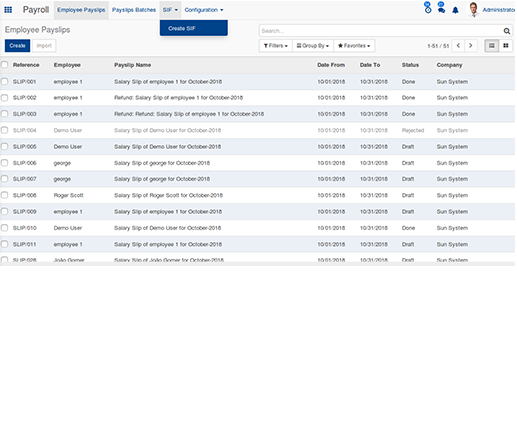 Open HRMS UAE/WPS helps to create the salary information file for a month in XLS format using the module. Get your employee salary reports printed in XLS format. 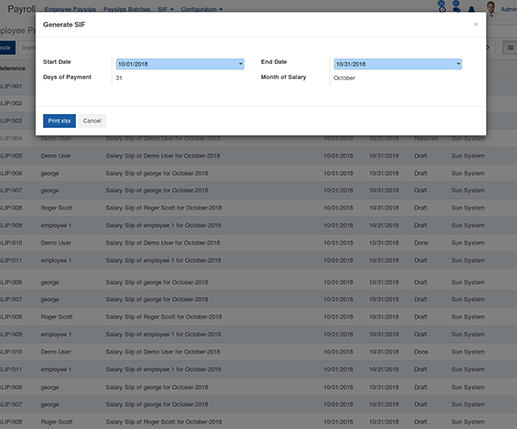 Get the corresponding employee salary report in XLS via simply selecting the start date and end date of the payment month.